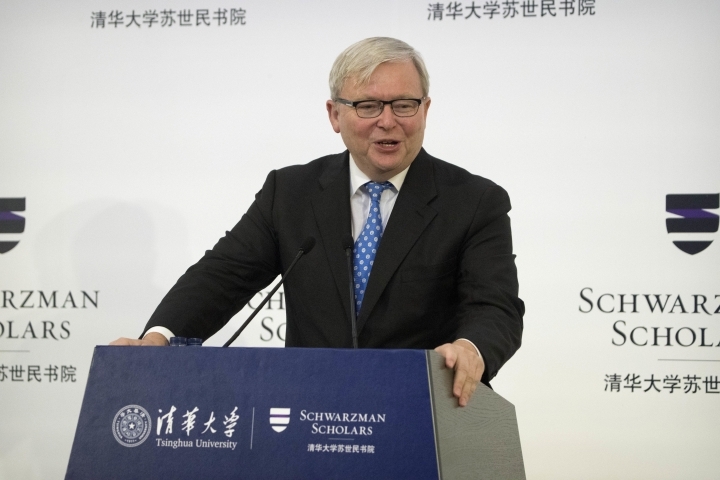 BEIJING — A new scholarship program intended to rival the prestigious Rhodes Scholarships and build understanding between China and the world opened its doors at Beijing's prestigious Tsinghua University on Saturday. 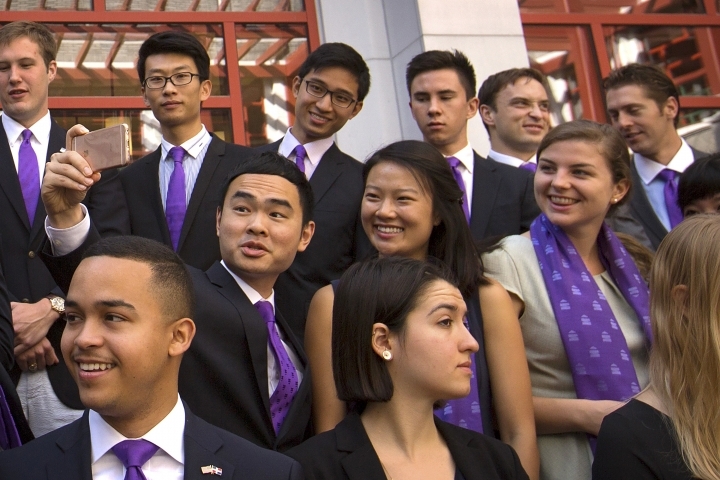 The program, founded by Wall Street tycoon Stephen Schwarzman, covers all expenses for students in a one-year master's degree program that will also emphasize cultural immersion, travel around China, and efforts to grasp and understanding the world's second-largest economy and rising superpower. 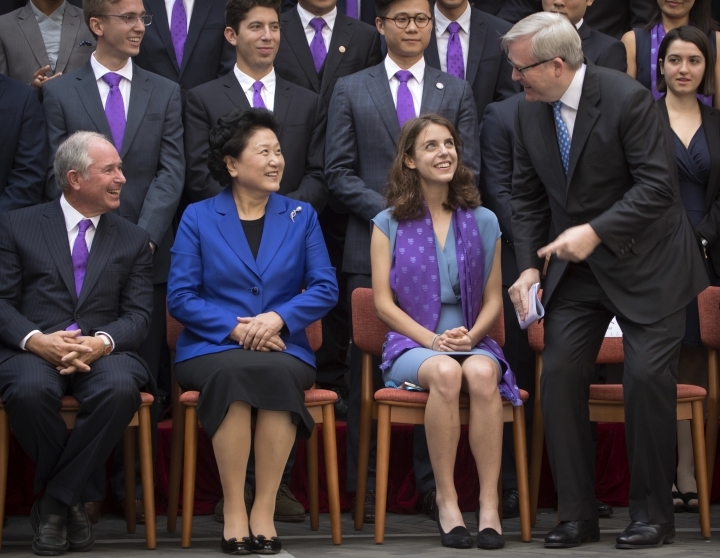 Chosen from more than 3,000 applicants, the 110 Schwarzman Scholars represent 32 countries, with 44 percent from the United States and 21 percent from China. The program hopes to eventually provide support for as many as 200 scholars yearly. 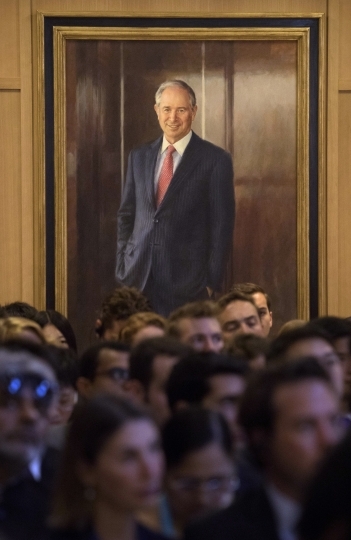 In an interview with The Associated Press, Schwarzman said the program had sought out students who were not just talented, but creative and insightful, with strong leadership and communications skills. Drawn from the sciences, business and even the military, they will go on to be "people of influence" who can explain China to the world and the world to China, he said. "In a world of populism and strong views on the internet, there need to be people who can explain such complex issues," Schwarzman said. Launched in 2013, the program has drawn support from the top ranks of the ruling Communist Party, one reason Schwarzman said he wasn't concerned about possible infringements on academic freedom. Chinese universities remain strictly limited in what they can teach and discuss in areas such as politics and history, and President Xi Jinping's government has redoubled calls to rid classrooms and textbooks of the influence of universal values and Western concepts of human rights and participatory democracy. 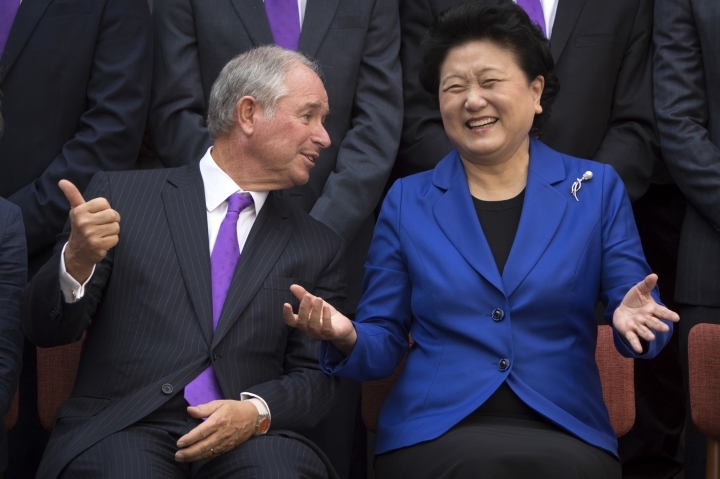 Schwarzman said the program fit perfectly with Xi's call to elevate at least two Chinese universities into the top global rankings in coming years. "We're in the sweet spot of what China is trying to do," he said. 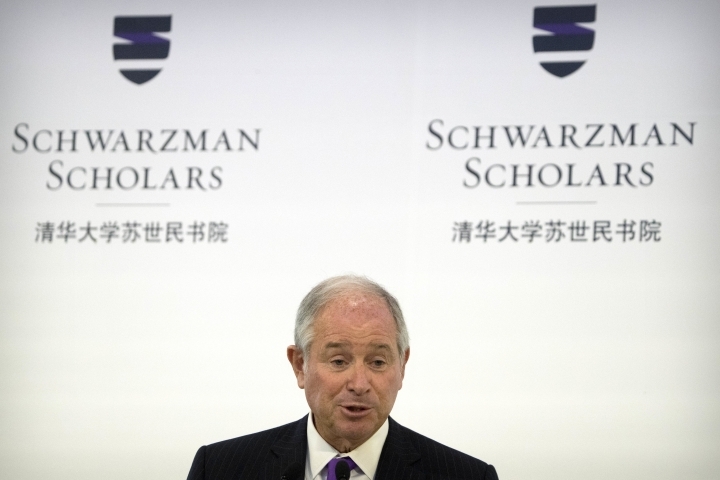 The Schwarzman scholarship program aims for an endowment of $450 million, of which $200 million has already been raised from private sources, including a $100 million gift from Schwarzman, a co-founder of the private equity Blackstone Group. Students will live in the Schwarzman College, a building designed by Robert A.M. Stern, dean of Yale University's architecture school, and based on residential buildings at Yale, Harvard, Oxford and other elite schools. Members of the program's advisory board include former British Prime Minister Tony Blair, former French President Nicolas Sarkozy and ex-Australian Prime Minister Kevin Rudd. Rudd attended Saturday's event, which also featured video greetings from U.S. Secretary of State John Kerry and first lady Michelle Obama. Former secretaries of state Colin Powell, Condoleezza Rice and Henry Kissinger also sit on the board, along with acclaimed cellist Yo-Yo Ma.